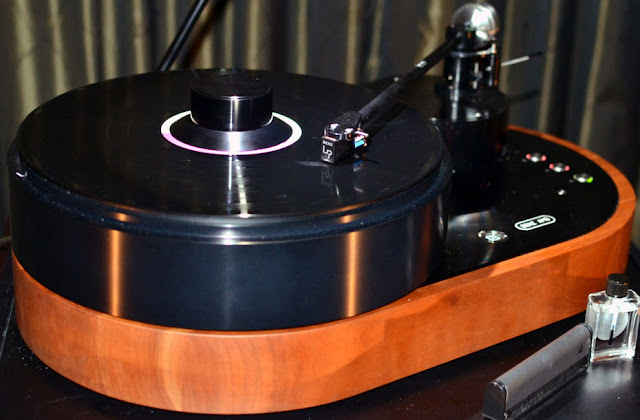 If It's Hip, It's Here (Archives): AMG's $16,500 Viella 12 Turntable and Tonearm For Serious Audiophiles. AMG's $16,500 Viella 12 Turntable and Tonearm For Serious Audiophiles. 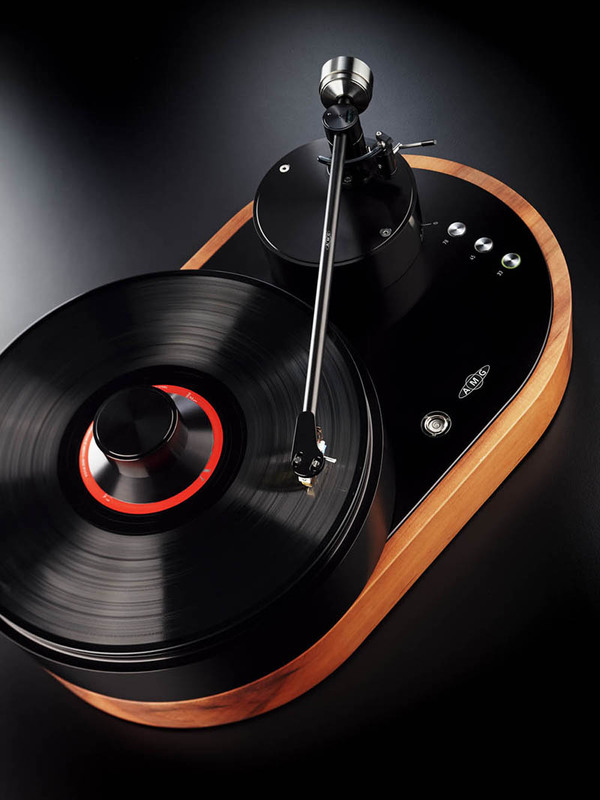 If you've got some serious respect for vinyl, the precision engineered AMG Viella 12 (aka “V12”) turntable may be the next piece of high end audio equipment for you. 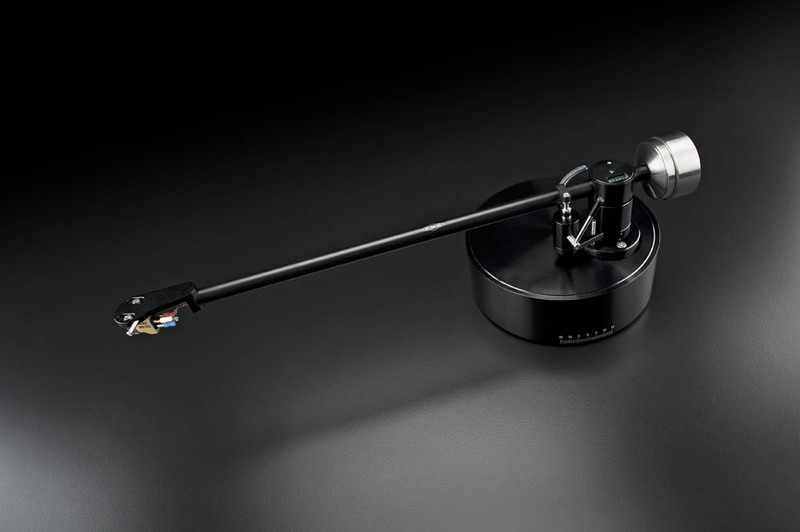 Of course it'll cost you - at $16,500 with the 12" tonearm and $13,500 without the tonearm. 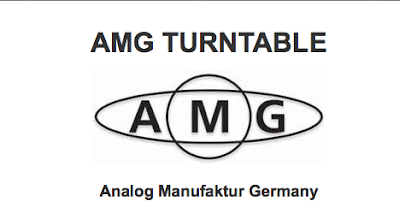 With all the machining custom done in Munich, precision engineering and classic design are embodied in the first turntable from AMG (Analog Manufaktur Germany, formerly Benz AMG). 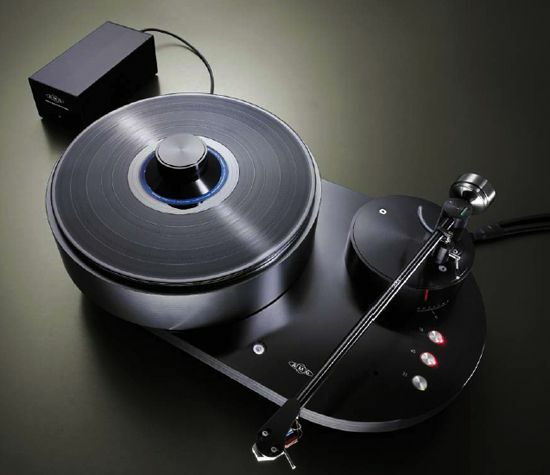 The AMG turntable line was created by a group of audio industry experts to advance the art of vinyl playback. Hardened 16mm axle bearing, CNC machined, ground and lapped Two sealed, hydro-dynamically lubricated radial bearings with axial bearings featuring static lubrication. 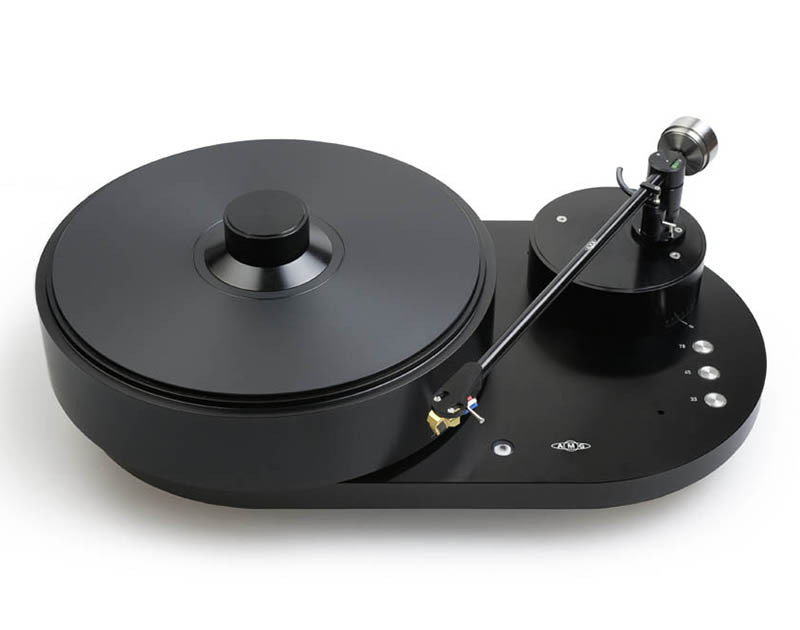 Lorenzi 2 pulse, low-speed brushless, precision 24v DC motor with auxiliary reluctance moment; sintered bronze bearings; cured and polished axis; and heavy flywheel. 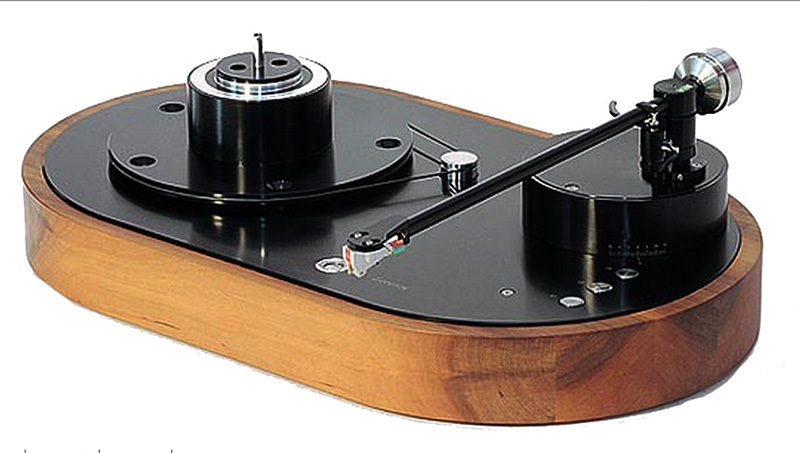 Motor housing acoustically decoupled from plinth via 5 rubber/metal mounts. 33.3, 45, and 78 speeds with electronic on/off, speed change, and speed fine adjust. Stainless steel weighted and polished drive-belt pulley. BEARING: Dual-pivot design replaces the standard gimbaled bearing. 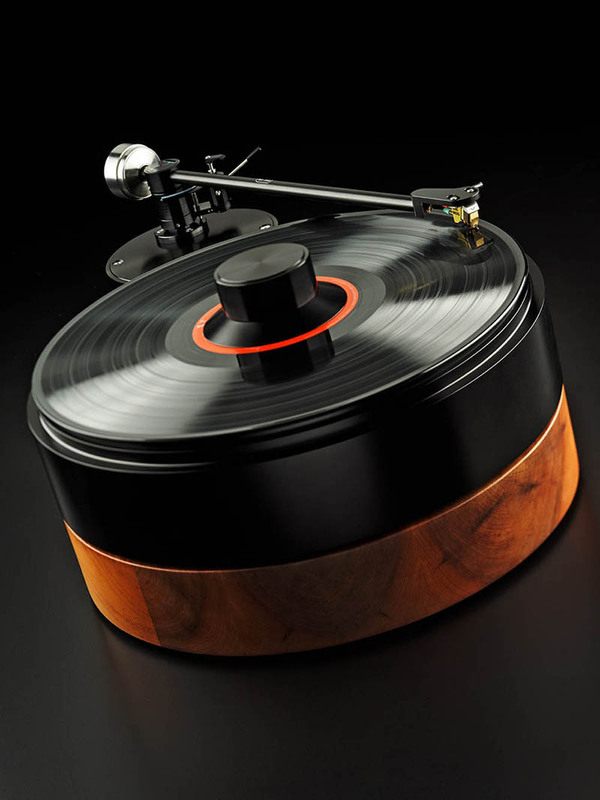 Vertical bearing, similar to technique used in the rotor heads of helicopters, uses two 0.5mm thick “spring steel wires”, allowing fine azimuth adjustment while eliminating play. Horizontal axle is hardened tool steel, precision ground to a backlash-free fit with a needle roller bearing. 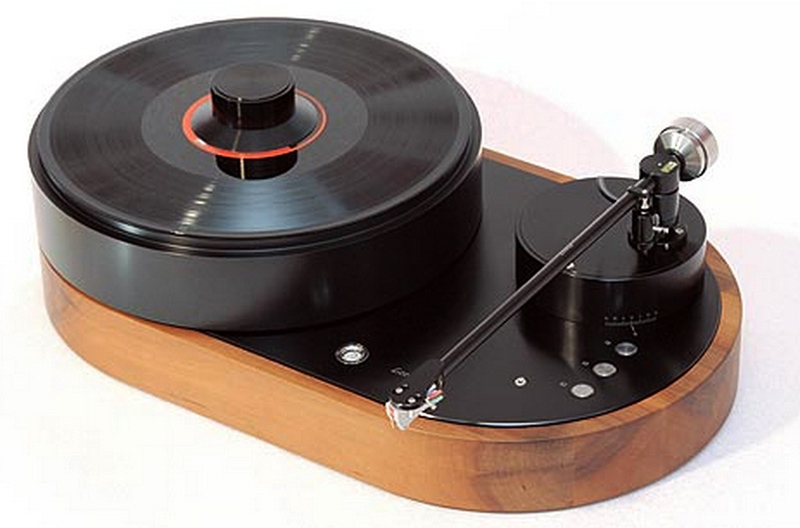 It is extremely precise, maintenance free, and never requiring adjustment. MAGNETIC ANTI-SKATING: decoupled via a ring magnet and 2 bar magnets. 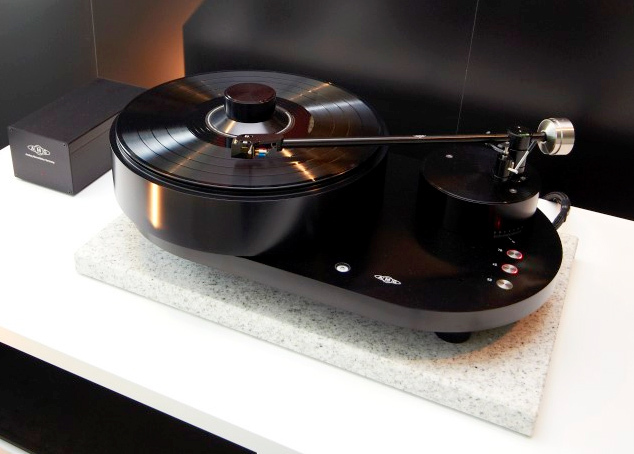 Magnetic fields isolated in our patented bearing housing. 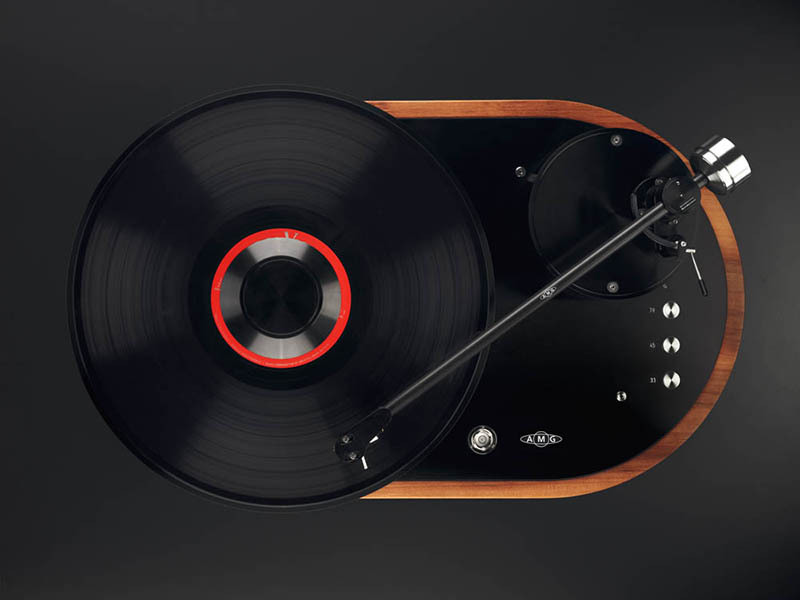 VTA: precision locking system allowing easy adjustment during play. A special thanks to Chase Madrid for bringing this to my attention.